I have run this Podcast for a few months now and have used up all of my time allowance on the free offer from Soundcloud but it was good whilst it lasted. So after some research I found that Squarespace can offer a hosting service so I’m giving it a go! This episode is very brief and covers a correction required from Episode 13 and some words about this transition process, what I have learned so far, and what this new hosting solution may offer. Charlie's Request! (Correction to follow! *) Covering: Vienna Charlie's request for iPhone photography tips/recommendations Headshot Releases Gear Purchase Video Editing Late Summer Holiday. * I mention 6 box grid for the iPhone screen but it is actually 9. The concept is still the same but you need to have 9 boxes in the grid to apply the intersection points for the Rule of Thirds. #12 - A hot, dry summer! It's a hot, dry summer in the UK! England are doing superbly well in the World Cup I have needed to buy some more add-on gear to help with my sound recording I've done another Lime Meadow shoot A new Business Headshot I've set up another Social Media presence for my travel photography in order to separate it from the other part of my brand I'm preparing for another trip! #11 - Another "testing" episode! Trying something different - again! I "discovered" that I had not upgraded to the new version of GarageBand so have now done that and this is the result - it might be a bit rough around the edges . . .
#9 - Testing, testing . . . This is a really quick episode where I test out some new sound recording gear, a Rode PSA1 boom arm and SMR shock mount. I have also used a different module in GarageBand to record it and I really like it - but it would be great to get some feedback from any listeners too. Compare this episode to previous ones and let me know what you think - thanks! My Birthday! 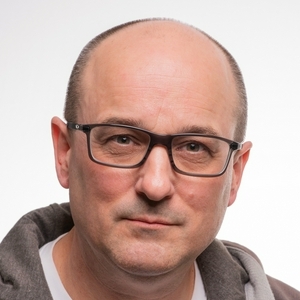 YouTube Vlog - need a catchy thumbnail pic, but 100 views so far Colleague headshots - great session, good timing, pleased client & just waiting for selections. First use of AD600PRO studio heads and very pleased with them Daughter headshot - impromptu - guess what is unusual? Great feedback and social media likes on our Instagrams and my Facebook page Rotary Event - Charity Gig, great time, great feedback! How you must be professionally prepared! Do not leave anything to chance and not just on the day. I was set up to be a professional and hard work made that possible Pricing for Events - Charity excepted, always get a fee up front Headshot Workshop this Saturday - beats the Royal Wedding any day! I talk about our superb trip to Budapest (see Vlog on YouTube), a recent training course with Hannah Couzens and my latest Photo "gig". In this episode of my Podcast I talk about a recent shoot at Lime Meadow Folk & Blues Club, my good experiences with Shutterstock & Alamy (cher-ching!) and preparing for a forthcoming trip to Budapest! This episode sees me reflect on a recent event, and be completely realistic! I also talk about a forthcoming trip. In this episode I talk about how I arrived at my style plus a bit about The Photography Show at the NEC and my latest purchase. In this episode I move on from the introduction in Episode 1 to share information about my Online and Social Media presence. I talk about what I use, why I use it/them and give my thoughts and comments on how I go about related steps on my journey. #1 - This is where my journey starts . 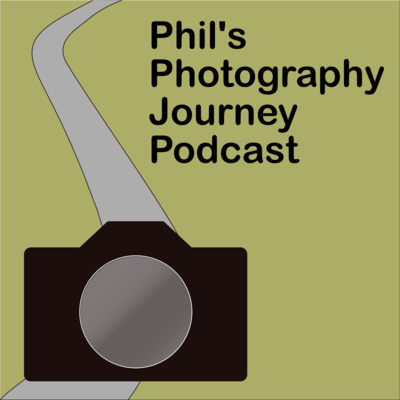 . .
First episode of a podcast describing my photography journey! #20 - I've joined the Headshot Crew! #19 - A new episode and a new platform! #18 - It's good to be back!